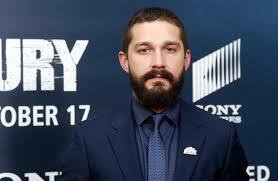 Shia and two friends are living in isolation in separate cabins in a remote area of Finland. Their only contact with the outside world will be through TEXTING. But not each other . . . they can only text visitors of the Kiasma museum in Helsinki. Visitors can send texts to all three of them, and they will be able to respond. If you’re REALLY into this for some reason, you can see a livestream of people at the museum and see the texts on the museum’s website. Luke shares awful advice to Dierks!